Sip and Bite Refreshment is a Vancouver, BC based vending machines operator. 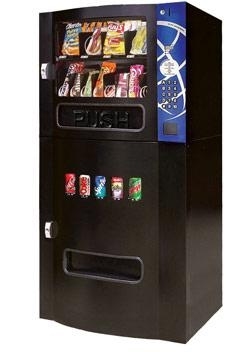 We provide compact refreshment centres designed for locations not suitable for regular sized vending machines. At only 26” deep and 31”wide, it fits almost anywhere and looks great too! Our compact vending machines are perfect for your office, warehouse or lobby with a choice of 5 different beverage selections as well as 15 snacks or convenience products. Please, contact us to enjoy your new vending machine right in your office or anywhere on your location. drink snack vending machines Vancouver drink snack vending machines Vancouver drink snack vending machines Vancouver fresh snack vending machines Vancouver lunch room vending machines Vancouver break room vending machines Vancouver Pepsi and Coca Cola vending machines Vancouver.